Dr Anna Adlam is a Chartered Clinical Psychologist (D.Clin.Psy.) and academic Neuropsychologist (Ph.D.), who specialises in working with individuals who have survived paediatric brain injury. Anna gained her Ph.D., investigating dissociations in memory in developmental amnesia, at the Institute of Child Health, UCL (1999-2003). Following this, Anna worked as a post-doctoral researcher at the MRC-Cognition and Brain Sciences Unit (2003-2006), investigating the neural correlates of semantic memory. Anna went on to complete her doctoral training in Clinical Psychology at the University of East Anglia (UEA, 2006-2009) before joining the UEA as a Clinical Lecturer/Senior Lecturer. Anna also worked as a clinical psychologist for the Cambridge Centre of Paediatric Neuropsychological Rehabilitation (2009-2012). 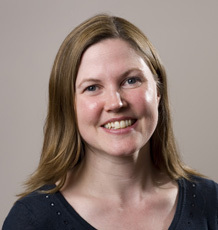 Anna joined the University of Exeter as a Senior Lecturer in 2012 and was promoted to Associate Professor in 2019. Anna completed a British Academy Mid-Career Fellowship (2015-17), which focused on adapting an online problem-solving intervention for children aged 9 -12 years old who had survived a brain injury (in collaboration with Professor Shari Wade). Anna is the Co-Director for Research for the D.Clin.Psy programme, Research Lead for the Child and Adolescent Neuropsychology group and co-ordinates the Paediatric Neurocognitive Interventions Research Group, an international research network conducting studies in the UK/Europe USA and Australia.